I'm sure some of my readers have been eagerly awaiting this post. So, the new Conquest system, huh? I wanted to wait a bit with writing about it because it's the kind of thing where day one impressions are unlikely to be representative of the larger picture, and even now I think it's probably still a bit early, but I still wanted to talk a bit about what I've seen these first two weeks. 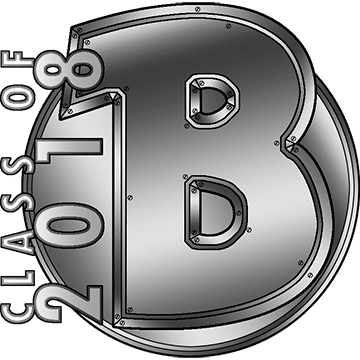 On the official forums and in other similar places, there has apparently been a fair bit of outrage over Bioware "breaking" things, but that hasn't really been my experience. On day one I only had time to note the bug that wrongfully caused the objectives for the Gree event world bosses to erroneously be granted from killing random mobs, which basically granted a "free" 10k points and I thought was pretty funny, but everyone in my guild remained in a good mood as the week progressed as well. Being a small-ish guild, we had invaded the planet with the smallest yield and managed to hit our target even though we hadn't made that big a deal out of getting people to contribute; it just happened. On that front, it certainly felt like a success. The new point values felt a bit weird though. I had been excited about the prospect of my conquest bonus from strongholds increasing from 60-odd percent to the full 150% due to the changes to how it's calculated, but in practice the point values for many objectives had been decreased so drastically that I actually got less out of each activity than I used to. 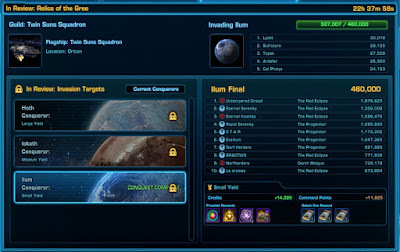 This was additionally highlighted by a change in the interface - where it used to show only the base point value for each activity plus your invasion bonus (so that your actual gain was going to be more than what was shown, once the bonus from your strongholds had been applied) the UI now accurately tells you exactly how many points you will get for each activity. This is not a bad thing per se but serves to increase the feeling of disappointment when you "only" get the exact small number of points predicted by the UI and not more. In the first week there was also a serious dearth of repeatable activities, something that Bioware acknowledged and deployed a fix for almost right away, but it was still kind of a weird experience that served to highlight imbalances in the rewards for different activities. I ended Sunday evening with one character "only" being a little over 2k points shy of her personal target, figuring that this should be easy to get, but ran into a bit of a wall as all the "good" non-repeatable objectives had already been used up and the repeatable ones only awarded a piddly amount. 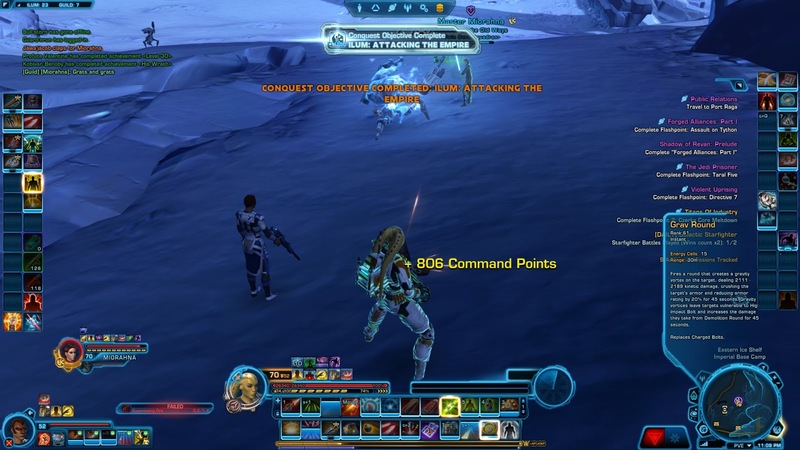 Eventually I ended up killing Imperial fortifications on Ilum with the help of a guildie, which created repair bills (level sync or not, those things still hit hard) and gave fewer points than the objective to complete a single Gree daily while taking ten times as long. If you're not doing this as a side objective while killing a Commander with a full ops group, this is possibly the worst Conquest activity ever. What's been the most interesting for me to watch however has been the meta with the new point yields. With crafting gutted as a source of points (for real now - remember, they already meant to do this years ago but didn't really go all the way back then) you could tell that many guilds were really struggling. By the end of the week, only two of the guilds that had invaded the high-yield Hoth on Darth Malgus had actually hit their target, and likewise only two had achieved the medium-yield target on Iokath (a third one got heartbreakingly close and missed it). Now, admittedly part of this may simply have been a result of ignorance - presumably not everyone keeps up with the patch notes and some smaller guilds may have been invading the "wrong" planets because they were under the false impression that they would still get rewards if only they made it onto the scoreboard. Still, Bioware responded quickly by slashing the targets in half for the second week. This still didn't solve the problem however - it did cause some guilds (such as mine) to brave the shift from small to medium yield after having had a very successful first week in the lowest bracket, but something very curious happened to the large yield planet: It was entirely abandoned by guilds actually trying to achieve their target and was instead crowded by small guilds that were hoping to gain the prestigious first place on a board that nobody wanted to be on for the "regular" rewards. 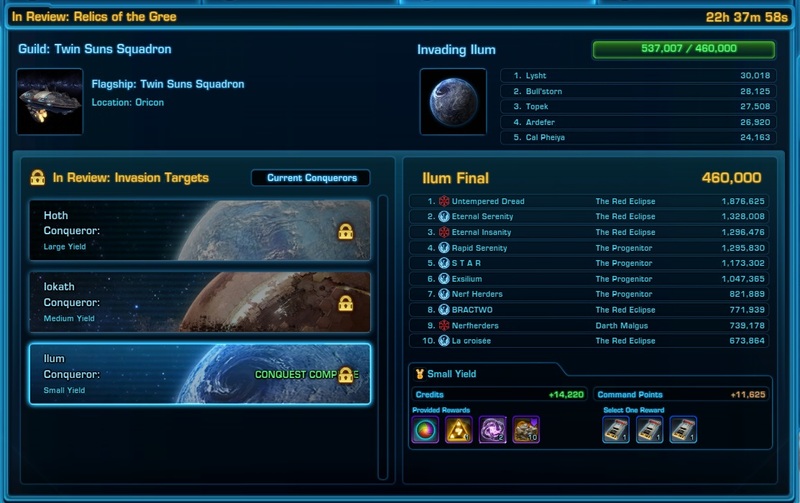 So nobody on the large board on Republic side is actually on track to hit their target this week, and it looks like the guild in first place will finish with a piddly 500k points or so. The question is: Will its members still be granted the title and the other first place rewards or are those tied to the guild target now? It's not something we've ever had to worry about before. If the rewards for first place are independent from the guild target, that could certainly lead to a very weird meta, with large yield planets becoming the opposite of what they were intended to be: a playground for small, brave guilds who want to win first place and are willing to give up their weekly guild target to do so, abandoned by the large guilds because it's too much of a hassle and they can win and get their weekly reward by going for one of the smaller boards. It's also been stated on the forums that Bioware is still monitoring how the yield system is working out, however - I have a feeling that they would not leave it like that if what I just described turned out to be the way it's going. The one thing that left a serious feeling of disappointment in my stomach this week was finding out that the new "Total Galactic War" was anything but and only featured a measly four planets (three really, but one was split in two due to having separate Imperial and Republic versions). This was confirmed on the forums to be an intentional change as well and is a real shame in my eyes, as nothing helps smaller guilds as much as simply having more planets to invade and therefore more chances to win. Not to mention that it would be an odd choice to make all conquest events feature the same number of planets if one of their stated goals with the revamp was to make the events more distinct from each other. I hope they'll reconsider that decision. The long and short of it is that it's obviously still a work in progress, but I didn't expect anything else. For what it's worth it has reinvigorated my interest in Conquest for the first time in years and seems to have had a similar effect on many of my guildies. We'll see how long it lasts and how things develop from here.